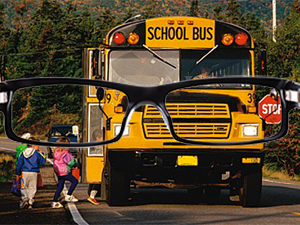 SUPER HI VISION EX3 remarkable scratch resistance, even outperforms glass! The superior scratch resistance of EX3 reduces your chance of scratches to an absolute minimum. It also provides a light reflectance of less than .5% and an improved hydrophobic layer leaves your lenses extremely easy to clean. A real triple threat! HOYA’s Super Hi Vision EX3 coating provides twice the scratch resistance of any AR coating available while maximizing light to the eye to optimize sight. 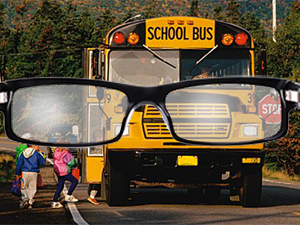 The result is a more durable lens with minimal glare. Super Hi Vision EX3 also features an improved hydrophobic layer, providing a finish that resists smudges, fingerprints, dirt and water for a clear view in any condition. HOYA SUPER HI VISION EX3 combines new and unrivalled materials, resulting in: extreme scratch resistance; extreme reflection protection; and extreme clean vision. With a dedicated focus on the overall composition, SUPER HI VISION EX3 delivers unmatched durability and reliability in a premium anti-reflection coating. SUPER HI VISION EX3 is water and dirt repellent, and easy to clean. Grease and dirt are removed in just a few wipes, and the chance of scratches is reduced to an absolute minimum. Even after long-term use and repeated wiping, SUPER HI VISION EX3 keeps its excellent easy-to-clean properties. • Oleophobic - fingerprints and smudges just can’t stick. • Hydrophobic - water just slides right off. • Clean - dirt and other residue clean off quickly and easily. Water contact: A smooth surface and a high water contact angle prevent water drops from settling on the lens surface. SUPER HI VISION EX3 has a water contact angle of 107.50. In combination with its maximum smoothness, this makes it virtually impossible for water drops to get a grip on the lens surface. As a result, patients are much less bothered by rain and condensation. Los Angeles eye doctors located in Koreatown proudly serving the neighborhoods of Beverly Hills, West Hollywood, Culver City, Glendale, Inglewood, Huntington Park, La Crescenta, Universal City, Maywood, Burbank, North Hills, North Hollywood, Monterey Park, Studio City, Bell, Alhambra, South Pasadena, South Gate, Marina Del Rey, Hawthorne, Pasadena, Compton, Bell Gardens, Lynwood, Toluca Lake, and Valley Village.